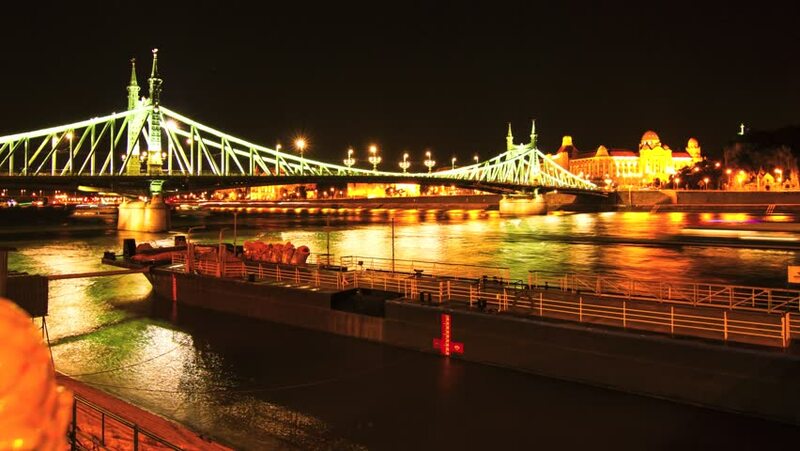 BUDAPEST, HUNGARY - JUNE 29: Timelapse of the nightly arrival of a cruise liner to Budapest in front of the famous Liberty Bridge June 29, 2014 in Budapest, Hungary. hd00:13CHIANG RUNG, CHINA - April 9, 2018: Tourist ancient boat in Mekong River at Chiang Rung, China on April 9, 2018 in Chiang Rung, China. 4k00:11BUDAPEST - JUNE 26: Timelapse of a nightly panorama of Budapest with the famous liberty bridge in the foreground on June 26, 2014 in Budapest, Hungary. 4k00:13BUDAPEST - JUNE 26: Timelapse of a nightly panorama of Budapest with the famous liberty bridge in the foreground on June 26, 2014 in Budapest, Hungary.